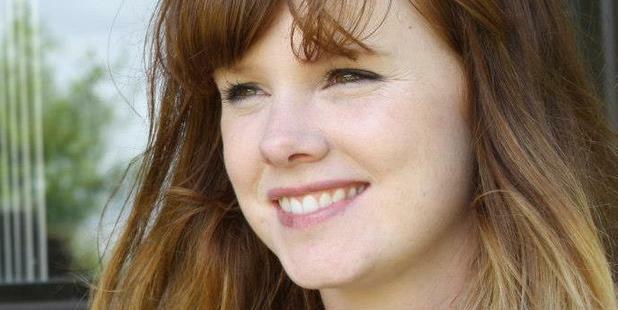 In 2011, Auckland woman Briar Lobb was diagnosed with cervical cancer. She underwent a radical hysterectomy and lymph node removal followed by weeks of radiation and chemotherapy. Although the treatment appeared to have worked a short year later, she was readmitted to hospital with stomach pains which turned out to be a recurrence. Briar was told she had just months to live. It was devastating to hear, but Briar decided to make the most of it and after drawing up a bucket list and raising funds, she began to plan the first item on her list, a road trip around the South Island. But Briar never got to take her bucket list trip, as her health failed quickly and in February of this year she passed away, aged 27, at home with her mother by her side. This is not however where Briar's story ends. Speak to anyone that knew Briar, and they all describe her as "so beautiful" and "so full of life". She was the kind of person that you didn't forget if you had the pleasure of meeting her. She was so kind, thoughtful and caring. During a stay up in Auckland Hospital, Georgia Ferris (17) and her family met Briar. They all speak of her so fondly and they were all looking forward to having the opportunity to see her again as she travelled the South Island on her bucket list trip. When they heard Briar wasn't going to make it, they donned their custom made "Never Give Up" necklaces and honoured Briar's memory by participating in this years Relay for Life in Nelson. Now Georgia, who herself suffers from a gastrointestinal disorder, wants to take it one step farther. "Briar showed me the strength and courage to fight my own illness and although my time with her was brief, her impact on my life and many of those around her has been profound." Georgia has decided to use her beautiful long brown hair to cut in 25cm lengths to be donated to Pantene who uses the hair to make wigs for other cancer patients. And simultaneously, she is asking for donations to raise money for the Arohanui Hospice in Palmerston North. This is Briar's mothers wish, and is the hospice that cared for Briar. Giving your hair for fundraising and charity isn't a new idea, and as it happens more and more, it seems to have lost a bit of it's edge, but what is unique here, is that Georgia has had message after message asking her NOT to do it because Georgia is sick herself. There is an outpouring of love from friends and family who don't want Georgia to have to "look sick", they want her to be able to get on with life like normal. But what Georgia already knows and completely understands, is that just like a young person diagnosed with cancer, it is "pretty hard to just walk away and get back to life as normal". Georgia Ferris holding the candle bag she made for Briar at this years Relay for Life Nelson. Georgia's illness has been going on for months and she has seen a side of life that has changed the way she views all life. When I have talked with Georgia about cutting off her hair, she is happy and confident in her decision and says, besides "it's just hair, it'll grow back". Georgia doesn't need to be normal, but wants her actions to be meaningful and by honouring her friend Briar she is connecting to her, she is honouring her own condition and body by not falling into a trap of trying to act normal when life isn't normal. Georgia should be hanging out at school with her friends, going shopping and giggling about boys. Instead Georgia's days are filled with food diaries, doctors appointments, various monitoring tests. She has a long road ahead, but she is strong and couragous, a trait she shares with her mother and her twin-sister Olivia, and although she could easily spend her time obsessed with her own condition and depressed by the resulting restriction to her life, she is focused instead on giving what she can to others.